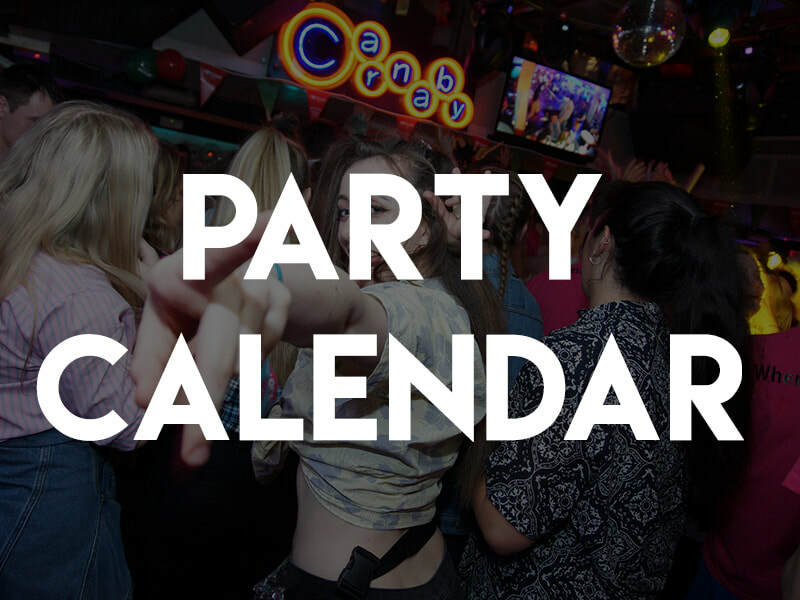 AUGUST 2018 - PARTY EVERY NIGHT! 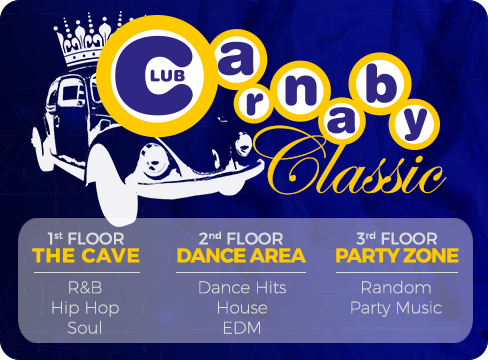 Carnaby's 3 Floors in their most classic way! The Cave: the best of black music & street style beats. 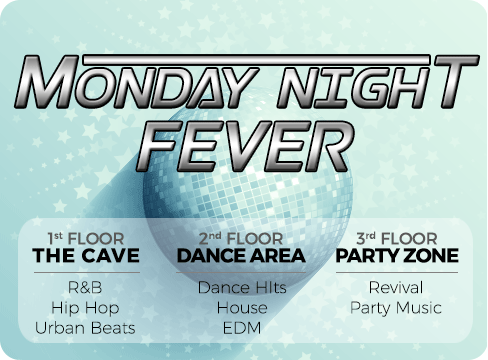 FLOOR 2: the best dance hits djs may ever play. FLOOR 3: "Random!" All time smashing hits. 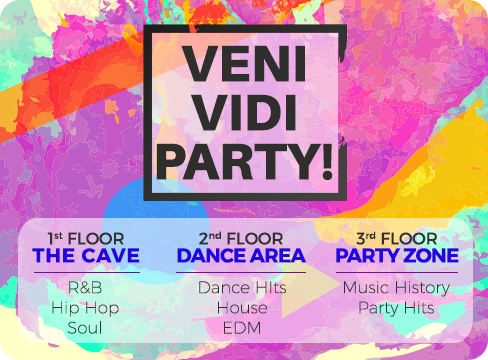 Random times, random music genres, absolute evergreen party hits. 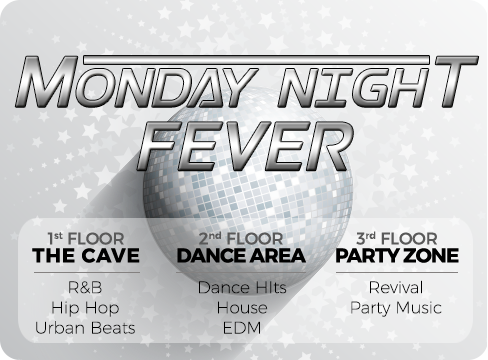 Every MONDAY, the 3rd Floor dedicates a part of the 'show' to the greatest discomusic hits from back in the 70's and 80's, besides of course the ultimate party-music. 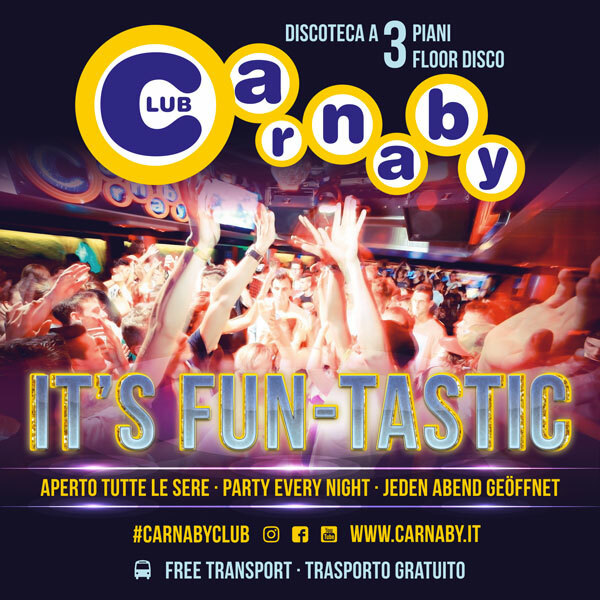 On FLOOR 1: R&B , Hip Hop - "Black in the 90's"
On FLOOR 2: Edm & House, with special "90's Italo-dance"
This night is dedicated to'Party People' from all over the world. On all 3 floors: Special selections from Special DJs for Special People... like you! 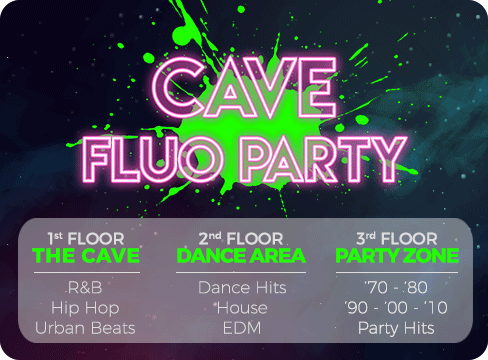 In the CAVE (Floor 1) at 24:30 we turn the NEON GLOW PARTY on! 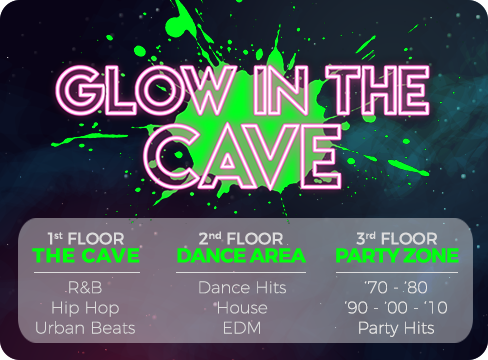 Body Painting artists, glowing gadgets and fluo paints for all, and thanks to over 20 blacklights your neon colors will light up the night. 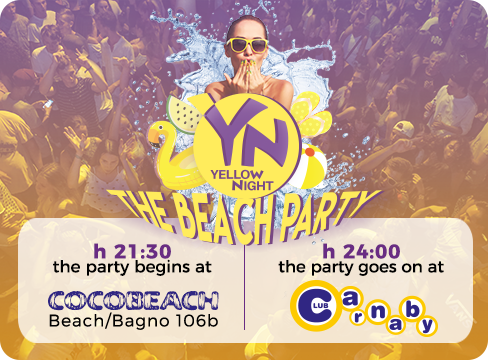 Let's dance on the sand! 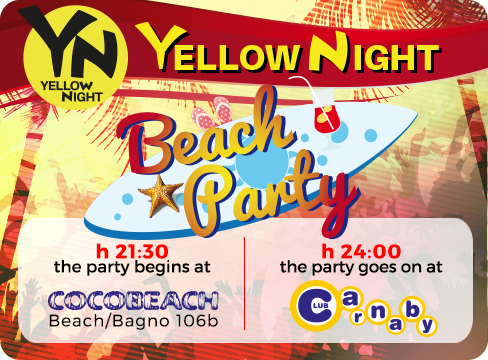 Dj Sets, lights, yellow cocktails, entertainment, gadgets, fireworks, free piadina with nutella and of course a bar at your disposal, with beer and spirits. 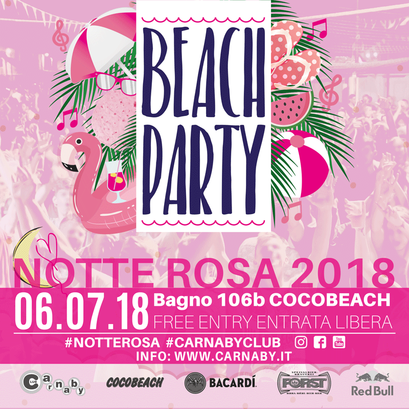 JULY 2018 - PARTY EVERY NIGHT!